Didn't know Jackie was on this gameshow. ^ maybe when they make a Charlie Chan biopic. In December 2012 Jackie will kick asses again. YOU KNOW JACKIE KEEPS A PRIVATE JET!! 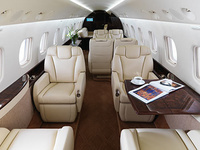 Instructed to put on coverings over our shoes (that looked like shower caps made of cloth), lest we ruin his brand new jet - understandable, of course - Plush got an exclusive look into the interior of Jackie Chan's Embraer Legacy 650 jet. Now on display at the Singapore Airshow 2012 until February 19, 2012, the US$30 million (S$37 million) jet is on route from Brazil to meet him. jackie before BEEN YING GUM GONG!! not only is he a member, he's Player President! 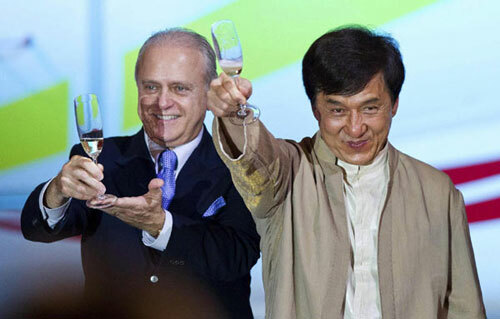 Huge fan of Jackie Chan. I really love the older movies such as police story series, Fearless Hyenna and Dragon Fist. The newer ones are ok, but I'll take the older ones, bad dubbing and all any day. 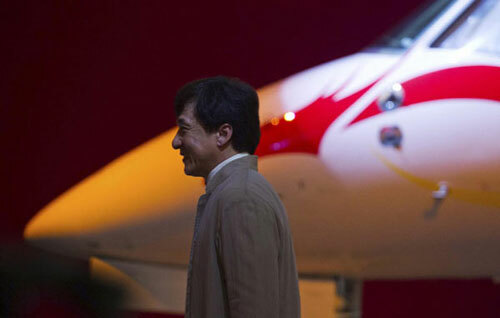 CANNES, France - Jackie Chan says he is landing his last punch. Chan, launching the film in Cannes with co-stars Kwone Sang Woo, Yao Xingtong and Liao Fan, said that people never believe him when he says he is going to retire. The 58-year-old says he is bowing out with "Chinese Zodiac" because it's one of the "most important" films in his career. Chan wrote, produced, directed and co-ordinated fights scenes for the film — in which his character searches for the 12 bronze heads of the Chinese zodiac. Chan promised that he'll continue to make films, but with more acting than action, citing Robert DeNiro and Clint Eastwood his role models. Not entirely surprised at this, especially considering how it must be getting more and more difficult for him to actually physically perform the action/stunts that so many of us are used to seeing from him. Hopefully people are willing to give him a shot at a "non-action" role. At Cannes, Jackie Chan has announced his retirement as an action star, saying he is too old for stunts and the world is “too violent”. He is not giving up his acting career, however. Chan would like to move into more serious roles. “For the last 10 years I have been making some other different movies. I want to be an Asian Robert De Niro. I don’t just want to be an action star, I want to be a true actor. I want to get rid of my image,” he said. Chinese Zodiac is Chan’s 100th film and features an international cast. Chan is known for performing almost all of his own stunts. Producer Brett Ratner, re-teaming with Chan following their successful partnership in the Rush Hour films, said: “Jackie is superhuman. He does things that no actor would ever do. “In Hollywood we would do a green screen and put the actors on wires and pretend they were inthe sky. 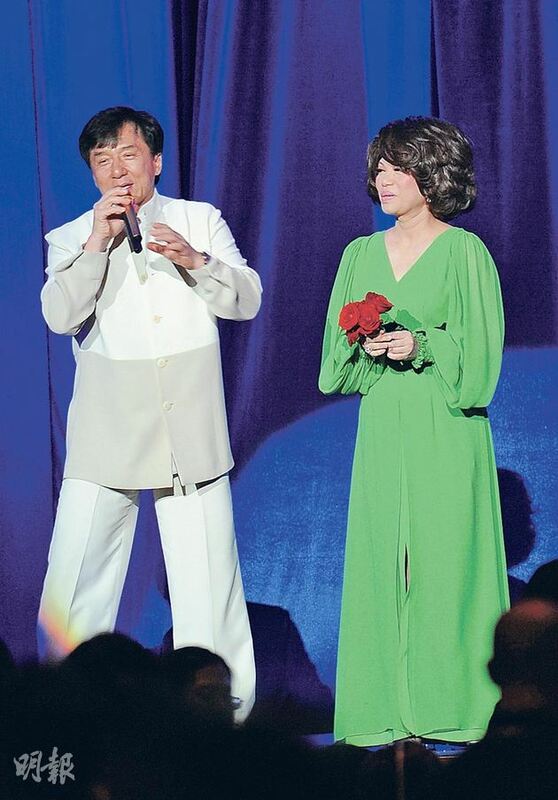 Jackie does it for real. Chan has been performing on screen since the 1960s and his martial arts skills were developed at an early age. In his teens, he worked as a stuntman on the Bruce Lee films Fist of Fury and Enter the Dragon. The Hong Kong-born actor became a crossover Hollywood star in the 1990s with hits including Rumble In The Bronx, Rush Hour and Shanghai Noon. More recently, he voiced Master Monkey in Kung Fu Panda and played a Mr Miyagi-style character in the 2010 remake of The Karate Kid. Even the film is not finished yet, this looks great! and from the red carpet! !